July 4th in WordPress Themes by Wordpress Jedi . Have you ever wanted to create your own collection site? Your site could be about gadgets, projects you have done in the past, ideas that you find interesting, quotes, and everything in between. Gather for WordPress is a beautiful theme designed for webmasters who want to display a collection of products on their website. The theme has a clean layout and is responsive. 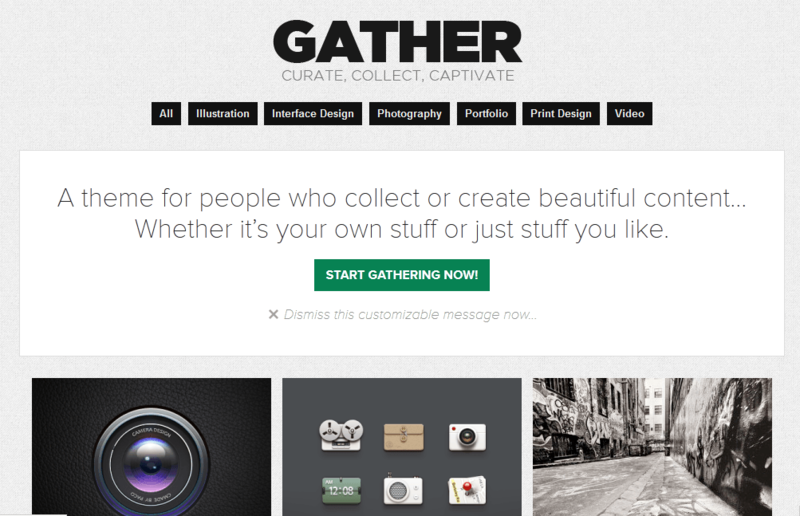 Gather is highly customizable and optimized to get your visitors engaged with your content. Webmasters have the option to customize the message, button text, and other call to action settings. It comes integrated with ZillaLikes, ZillaShare, and ZillaSocial to facilitate content sharing. 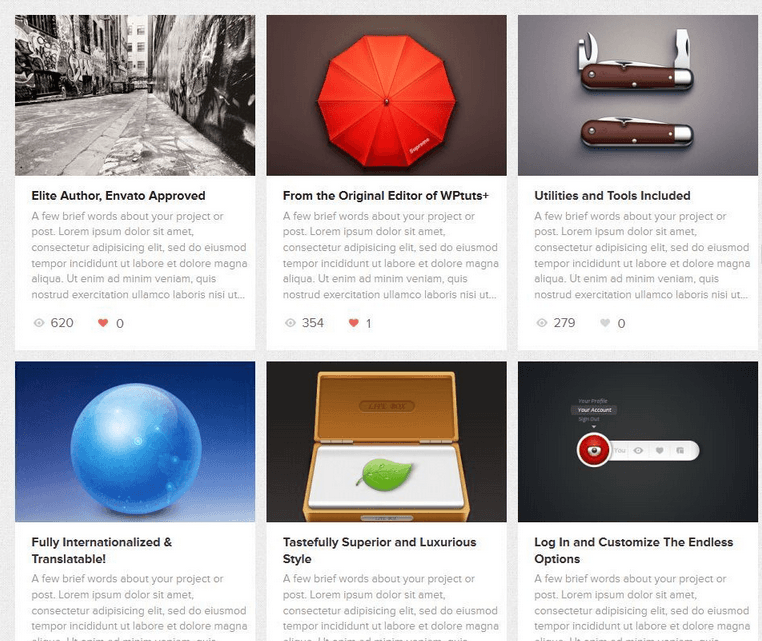 Gather has 14 page templates and a number of useful shortcodes. Gather supports all kinds of content, including your videos, audio content, and maps. It is not only responsive but has a touch sensitive slider. Overall, Gather is a pretty attractive theme and has more than enough features to enable you to share your collection of products with the world.